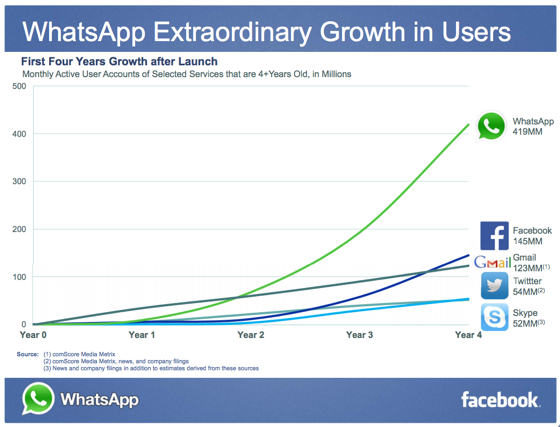 Facebook announces purchase of WhatsApp, But will it affect the user? Facebook announced on Wednesday that it will purchase popular messaging application WhatsApp for $19 billion in a combination of cash and stock. The announcement comes at a time when the battle for mobile messaging is really heating up, with WhatsApp competing with several other contenders including Facebook’s own Messenger app. accelerates Facebook’s ability to bring connectivity and utility to the world. WhatsApp assures us on its official blog that “nothing will change for the user”. WhatsApp will continue to operate as a separate entity, and both WhatsApp and Facebook Messenger will continue operation. While the move makes sense given Facebook’s recent focus on mobile and messaging, it is unclear at this time how this move will play out in the long run for both WhatsApp and Messenger.